Who Will Be The Churchill of Our Energy Policy? 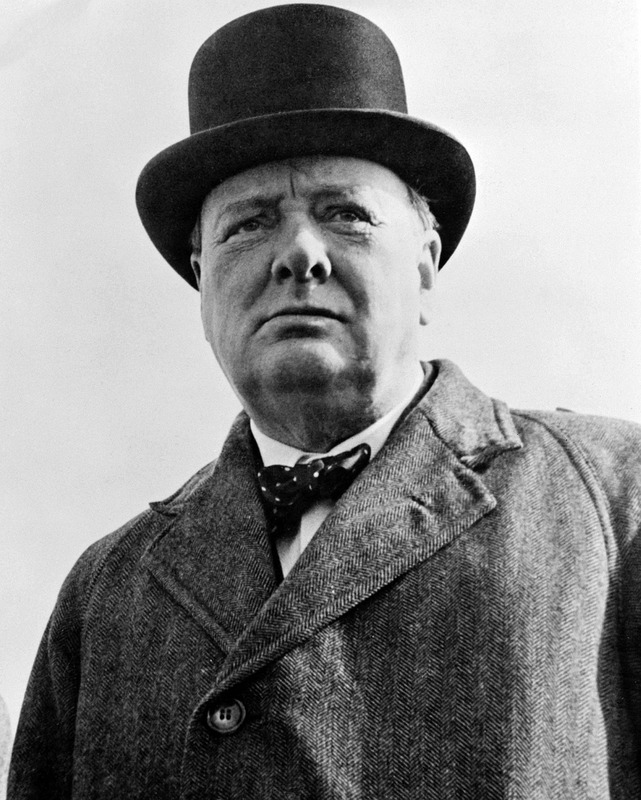 By Kirk Weinert Comments Off on Who Will Be The Churchill of Our Energy Policy? 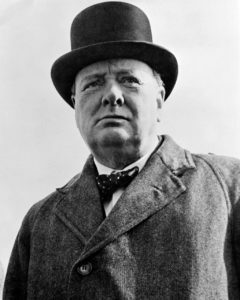 Sir Winston Leonard Spencer-Churchill, the second-most quoted Englishman of the 20th Century (behind a certain two-headed songwriter from Liverpool), has re-emerged in the last two years as a touchstone for political and cultural debates, both in America and the British Isles. He was the subject of the Oscar for Best Actor. The whereabouts of his bust in the White House has been a political food fight. And the hot item in office furniture is the Churchill standing desk. It is altogether fitting that we Americans periodically reflect on our mercurial cousin. 1. How not to conduct an amphibious invasion. He was the architect of the disastrous Gallipoli campaign in WWI. 65 years later, it was made into a movie that that, in its waste of human life, was the perfect follow up for its star’s previous film, Mad Max. 2. How to be transpartisan. At different times, Churchill won seats in Parliament as a member of the Conservative Party, the Liberals, the Constitutionalists, and the Conservatives again. And, when he finally was elected Prime Minister during the beginning of WWII, he did so despite not being supported by the majority of any single party, including his own Conservatives. 3. How to turn a messy story into one of “good versus evil”. His “Iron Curtain” and “we shall fight them on the beaches” speeches were just two of many examples of his story-telling prowess. 4. How a well-placed government official can transform the world’s energy use, alter the day-to-day lifestyles of billions of people, massively shift the balance of power among nations, and reshape countless ecosystems for the next several hundred years by making a single decision. That last one doesn’t refer to Churchill’s taking on Hitler or his role in the development of the atomic bomb or any other well-known action. The decision in question was made in 1911-12, when Churchill was an up-and-comer who had used his connections to be appointed the UK’s First Lord of the Admiralty (despite never having served at sea). He shifted the entire fleet from using coal to oil. The consequences were perhaps much larger than Churchill could have ever imagined. First off, we’re talking about the British Navy, then the most powerful military force in the world. Shifting it from coal to oil was roughly the equivalent of today’s U.S. military shifting all of its planes, tanks, jeeps, submarines, and aircraft carriers to being powered by solar panels. And, as went the British Navy, so went every other navy in the world. And, as went every navy in the world, so started to go every vehicle manufacturer in the world (much to the regret of the folks behind the first electric cars). The sudden spike in demand prompted a world-wide search for supply. And that led to such Churchill-sponsored efforts as the secret buying up arid wastelands loosely controlled by a minor royal family named Saud. And the ugly overthrow of a popularly elected President of Iran, the bankrolling of Lyndon Johnson by Texas oil barons, the bloody secession of Biafra from Nigeria, and on and on. It prompted the development of gasoline engine technology, which bled over into civilian life (cars, power plants). It put a lot of coal miners out of a job. Ditto for the people who ran the coal depots that navies had set up in obscure locales around the world. And, for a time, it was even a net plus for the environment, since coal burning is so much worse. Churchill’s decision was not without precedent. The Navy’s submarines and some of its destroyers were already oil-powered when he took office. And it didn’t happen in a vacuum. The equivalent of today’s tacit alliance between environmentalists and renewable energy businesspeople had long pushed for the switch to oil. Whatever its origins and whoever the originator, the decision was bold and decisive. Today, the possibility for a similar decision about the future of energy is at hand. How can we apply the lessons of Churchill’s action to the drive to entirely replace fossil fuels with renewable energy? 1. Seemingly obscure government policies can have enormous consequences, so we need to always pay attention to every little detail. 2. Simple decisions can have enormous unanticipated consequences. 3. Elections matter. The ensuing appointments to executive leadership positions matter. Those lessons are as true now as ever. While there’s plenty of reason to be pessimistic about the energy decisions now being made in Washington, there’s also evidence that good energy policies will prevail. Take the recent decision by the Federal Energy Regulatory Commission — whose members are Trump appointees — to squash Energy Secretary Rick Perry’s proposal to massively subsidize the coal and nuclear industry. But I can’t help wondering who will be renewable energy’s Churchill. Who will be the high-level official who flips the switch? When will she or he be in the position to do so? But I do know that, as Churchill himself said years ago, continuous effort — not strength or intelligence — is the key to unlocking our potential.